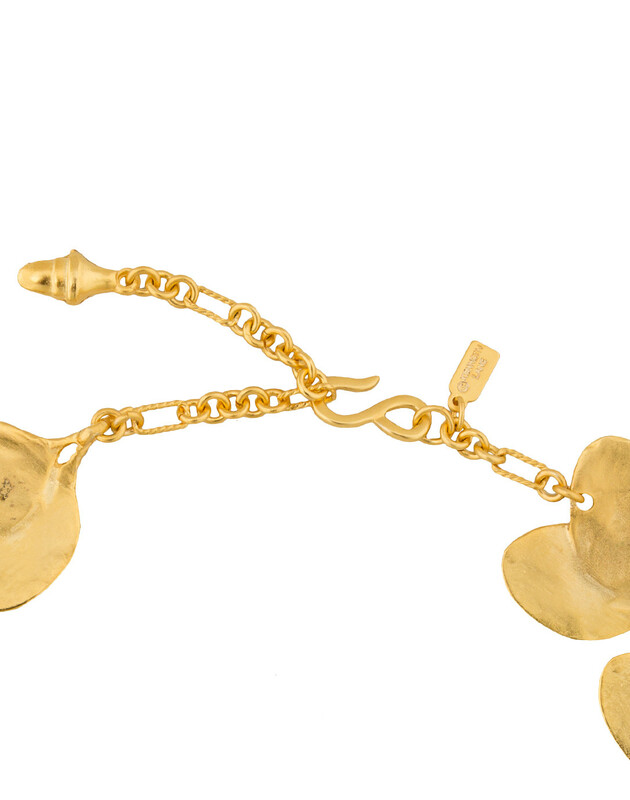 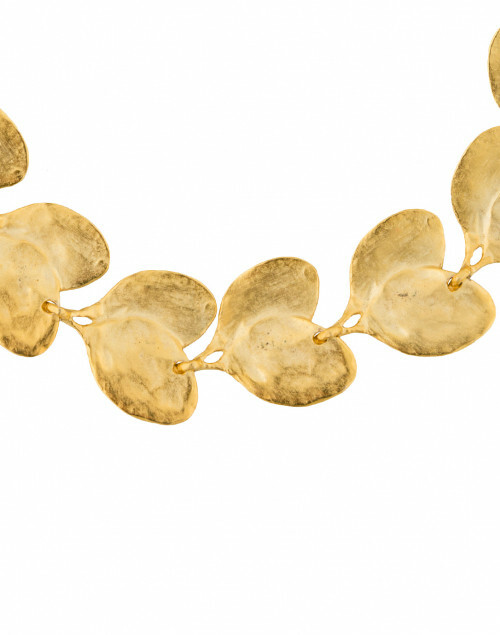 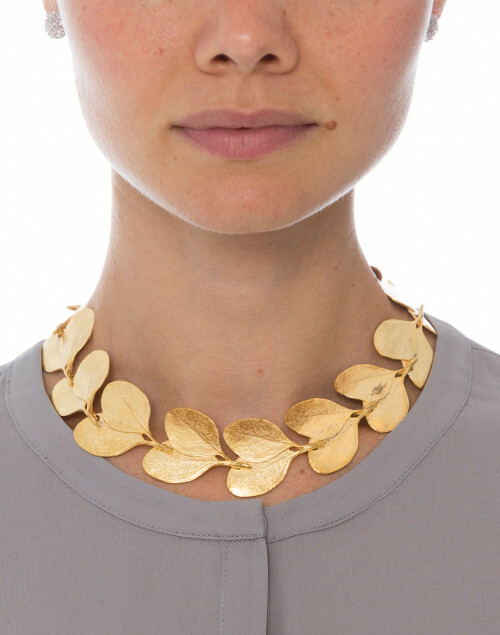 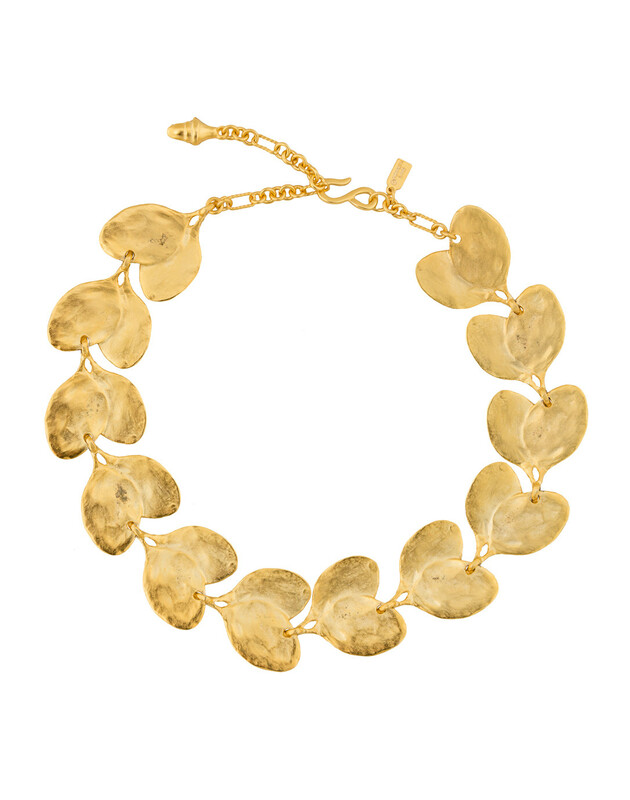 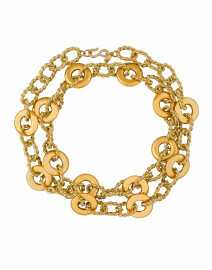 Crafted from textured gold, this Kenneth Jay Lane necklace can elevate the simplest look like no other accessory. 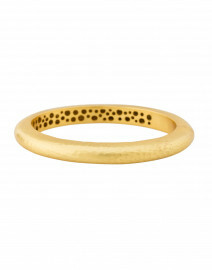 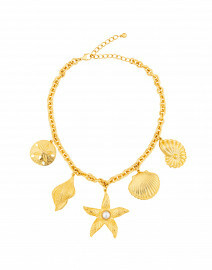 It is crafted from gold-plated brass, and a has a fishhook closure and an adjustable length. 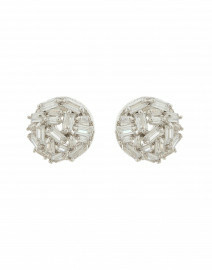 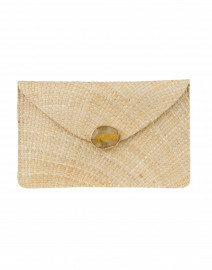 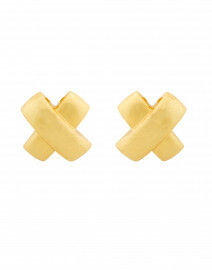 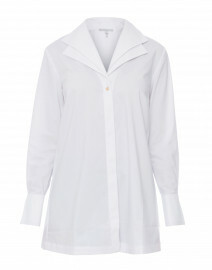 Wear it with a grey silk blouse and tailored trousers for a refined evening look.